The Chinese CA1091 truck aka The Jiefang CA1091 (previously known as CA141) 5 tonne 4X2 truck was introduced by the First Automobile Works (FAW) in the mid-1980s as a utility truck to replace the ageing Jiefang CA10 truck. 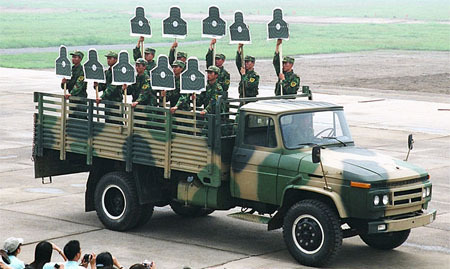 Although the CA1091 truck is not listed by the PLA as a standard equipment, a modest number of the truck is currently in service for the general troop/cargo transport role. The CA1091 was intended for road travelling only and possesses very limited cross-country travelling capability.